(July 17, 2018)- On July 16th a juvenile was arrested for outstanding warrants, drugs, and firearms offenses. On July 16, 2018, members of the United States Marshals Florida Regional Fugitive Task Force of the Fort Myers Office had information about the location of a wanted person. 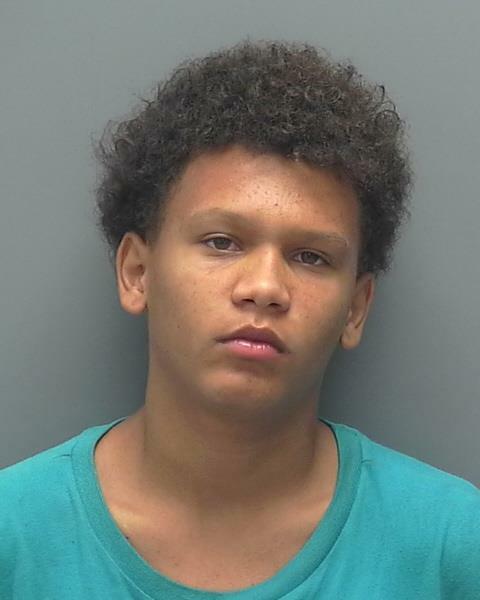 They later made contact with Johnny Peterson (B/M, DOB: 10/23/2002) and another juvenile at 1100 Cape Coral Parkway E.
A Cape Coral Police Detective assigned to the U.S. Marshals Task Force made contact with Peterson. Peterson was given orders to show his hands due to officer's seeing a bulge in his waistline that was covered by his shirt. Peterson did not follow orders and instead stood up and started reaching toward the bulge. One of the Task Force members took hold of Peterson's arm and saw that the bulge under his shirt was a loaded Taurus PT-22 Firearm. Peterson was charged with Carrying a Concealed Firearm, Possession of Firearm by an Adjudicated Delinquent, 4- outstanding warrants, Possession of Cannabis under 20 grams, and Possession of Firearm by a minor.